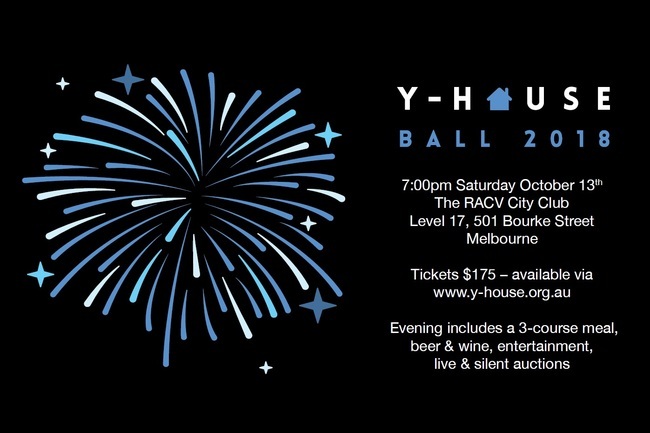 Y-House Foundation are thrilled to be hosting The Y-House Ball!!! The event will be held on Saturday October 13th at the RACV City Club. It's sure to be a great night featuring amazing food & wine, as well as incredible entertainment & performances and live & silent auctions. Tickets to the event are $175pp and include a three course meal, drinks throughout the evening, amazing entertainment, inspiring guest speakers and most of all a REALLY FUN time!